Please allow 2-3 weeks from the time impressions are made for your jewellery to be ready for collection or delivery. If you have not allowed enough time or need items urgently an express service of an additional £25 is available. Wherever possible we will endeavour to have your jewellery ready in 48 working hours. Please allow as much time as possible, especially leading up to busy times of the year such as Mother’s Day and Christmas. Feel free to call Kirstie to discuss. If you need items posting we are happy to post them to you on request – please see our cart for P&P costs or call for a price. We use Royal Mail Services unless you request otherwise. 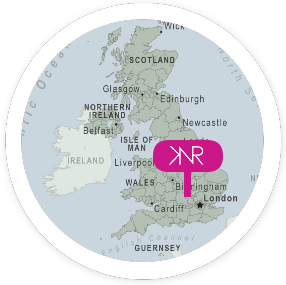 Please note that KNR Jewellery cannot be held responsible for any items delayed or lost by Royal Mail, either received by us or sent to you. In the event of late or non-delivery of your item please contact us and we will provide you with a tracking number in order for you to track your item and contact Royal Mail.